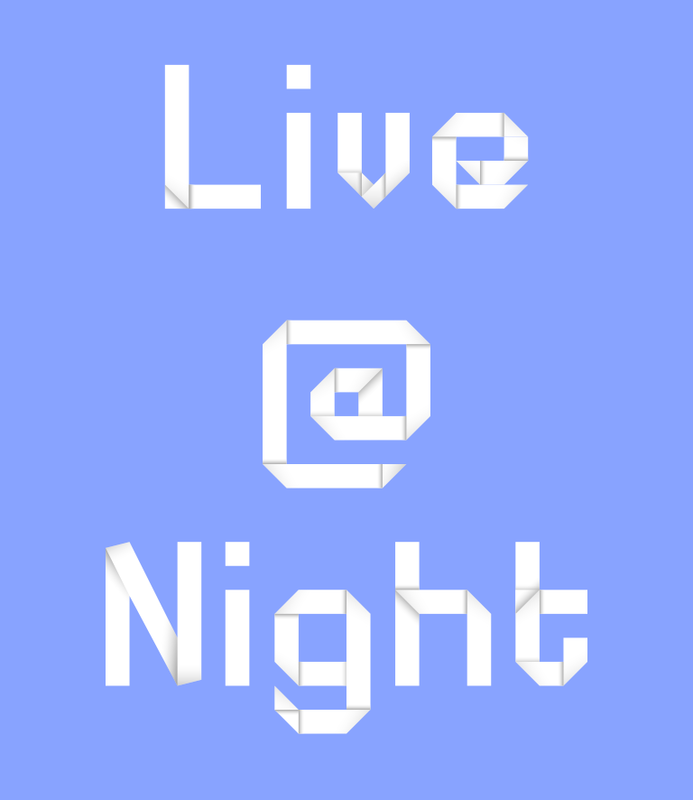 I made this in Inkscape after wondering if you could make a font out of a folded strip paper. On the whole I think it works, but there are a few areas I'm less happy with. As the shading increases with the number of folds, some letter are a lot darker (x, v and e) than others, which being straight don't have any shading (I, i, l, !). I couldn't bring myself to add false shading to represent a none existent fold. While it means the shading is consistent with folds, not all characters have the same brightness, making some appear more prominent than others. Generally I tried to stick to 90 and 45 degree folds, but the characters N, V, X, z (especially in uppercase) and 7 looked very stilted with those fold restrictions. The proportions on the lowercase x and uppercase Y seem to look fine to my eye, even though following the way the uppercase X is done I should probably have made the Y with none 45 degree folds. I especially like glyphs @, S, o and e. K, k, and 4 feel less successful. 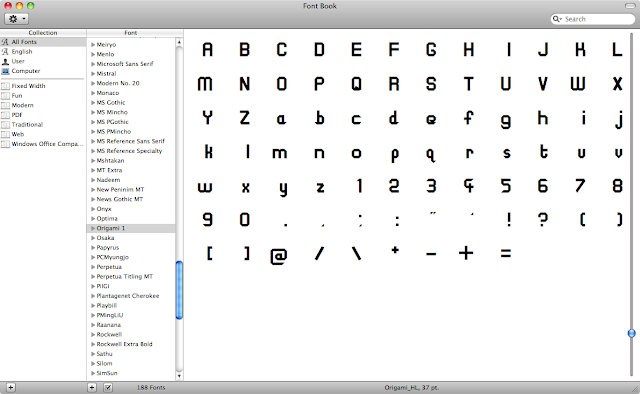 I created the TrueType Font (TTF) with Online Font Converter, but the font is monospaced as I couldn't adjust the spacing per glyph in Inkscape. 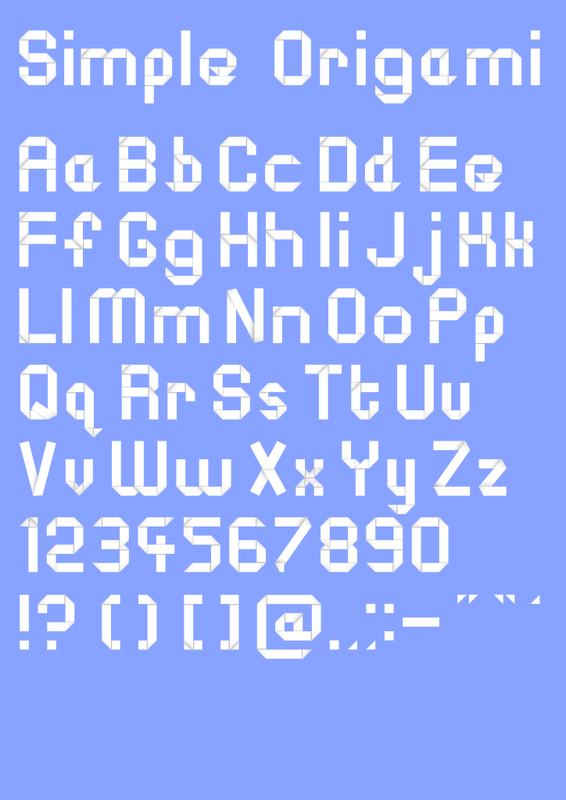 Also TTF fonts limit you to being a silhouette, so the shading of the folds can't be seen, which removes most of the novelty and it just looks like any other blocky font.